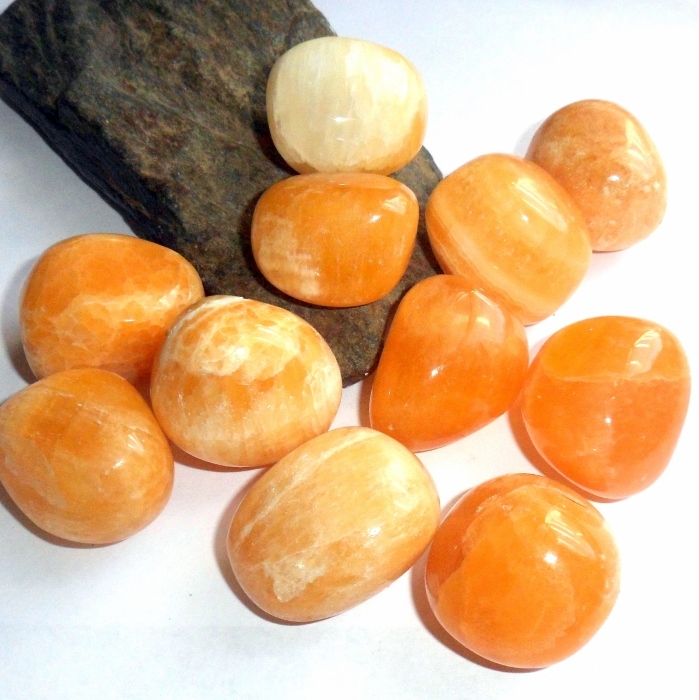 A polisehd orange calcite gemstone for your rock collection. Calcite is a stone for inner enlightenment and mental development. Native Americans consider calcite a holy stone given to them by the gods. 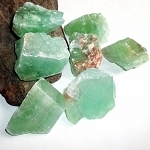 Calcite is a superb healer of bone disorders and excellent for the formation of bone. 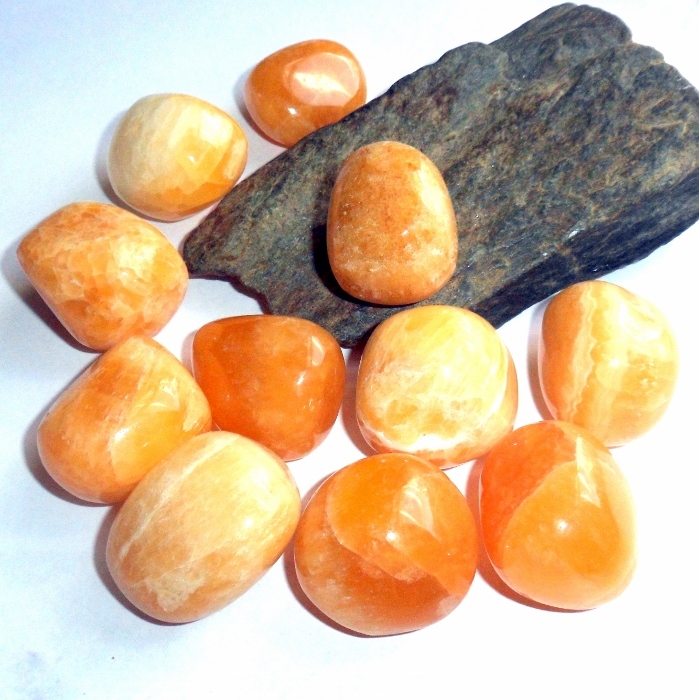 Orange calcite is an energizing and cleansing stone that helps overcome fear and depression. It is useful for healing the reproductive system, gallbladder, and intestinal problems. 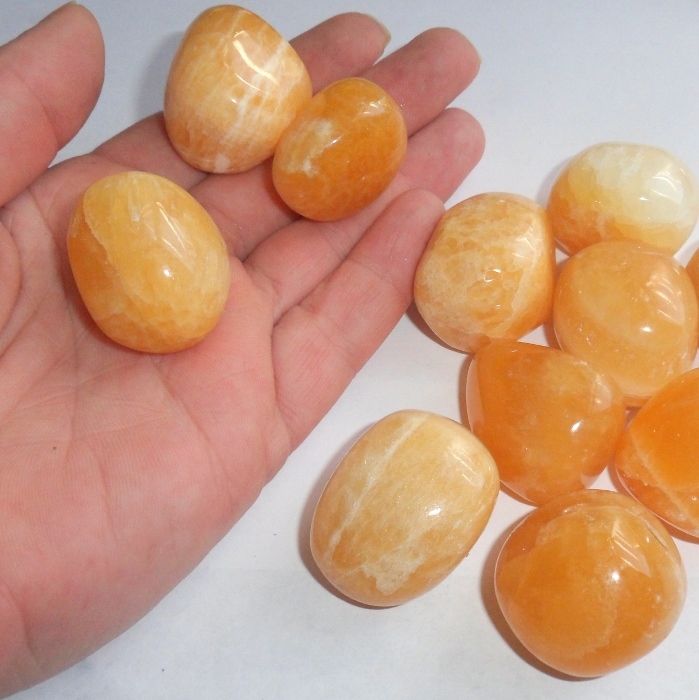 Orange calcite gemstones are approximately 1 to 1 1/2 inches, typical size photographed in my hand. This calcite was mined in Mexico.